Hi there! 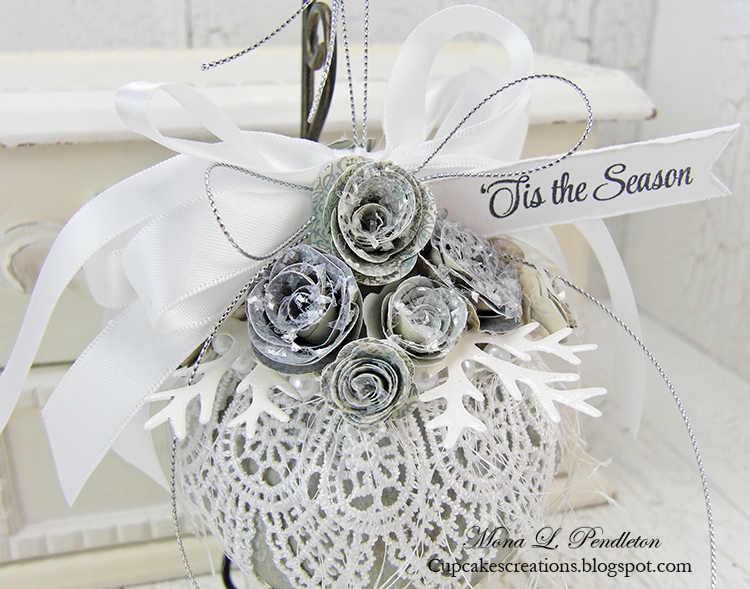 Today I have a couple of Days of Winter holiday projects to share with you. Soooo beautiful work here again. 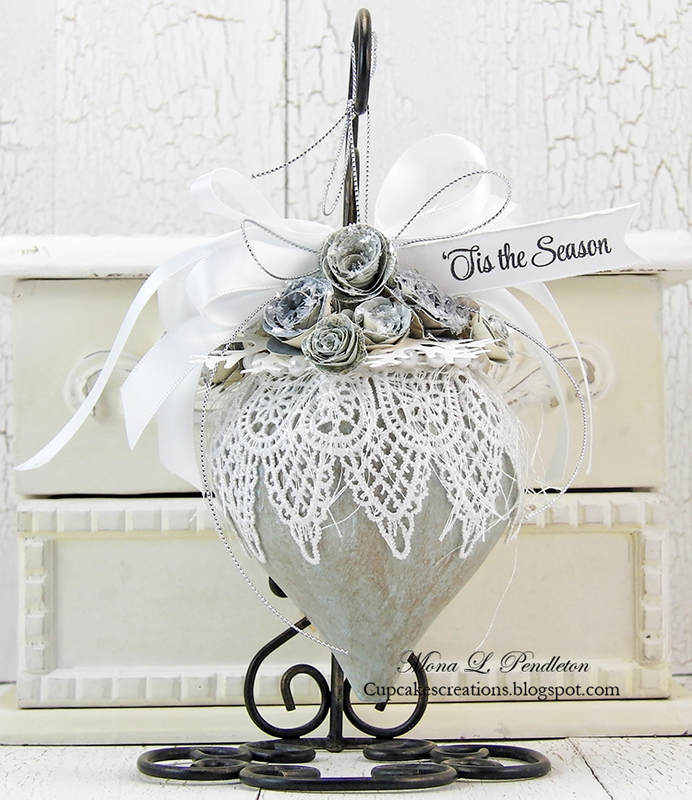 I LOVE your ornament here Mona, that gorgeous lace looks sooo beautiful, and also how you´ve added the glitter to the roses too. It looks sooo beautiful and festive. I´m a big glittergirl too and love the look of glitter on most things, and especially for Christmas, it just finish everything of and look so beautiful. 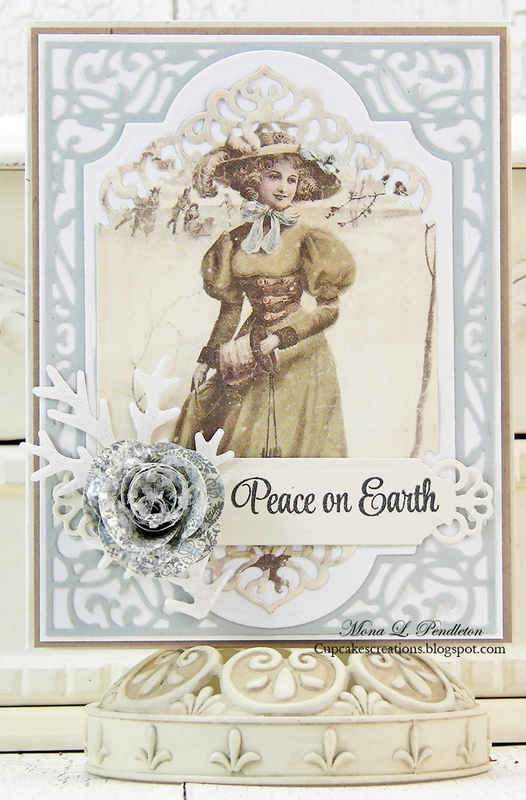 Also your card is very very beautiful and some great dies, you´ve used to make it too.